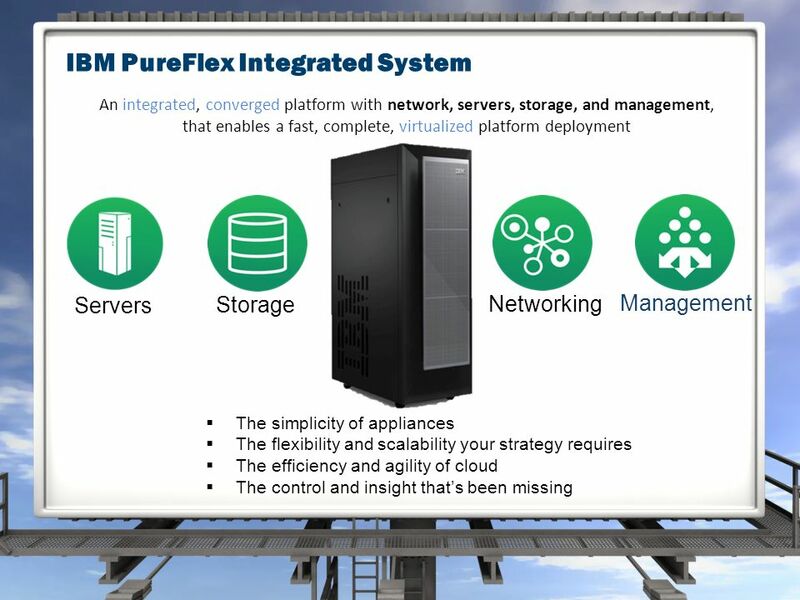 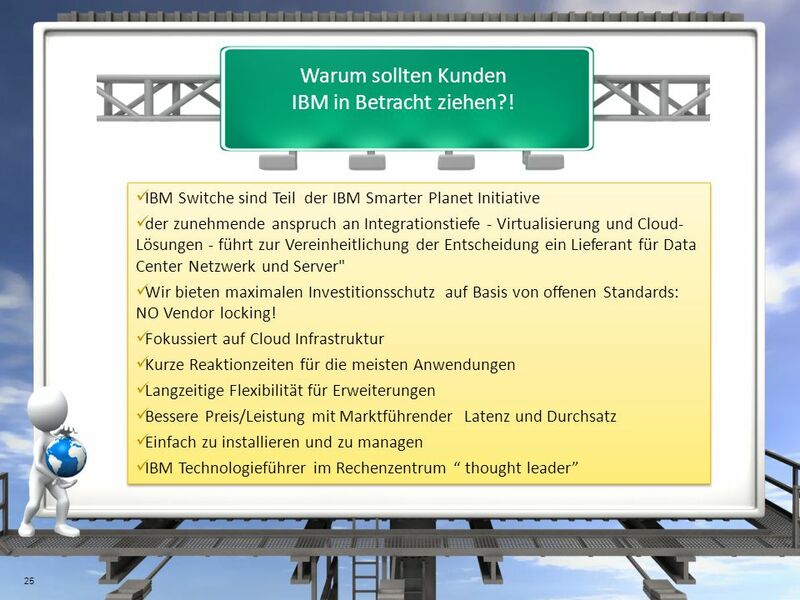 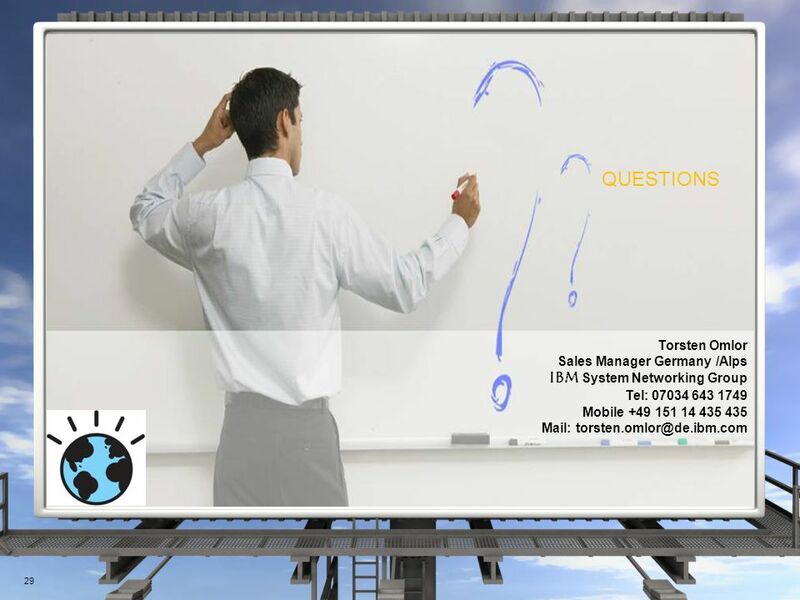 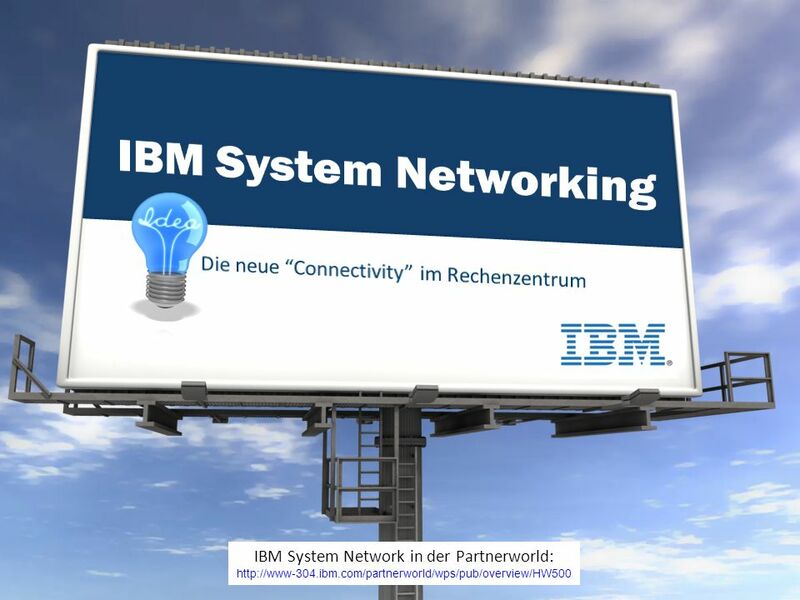 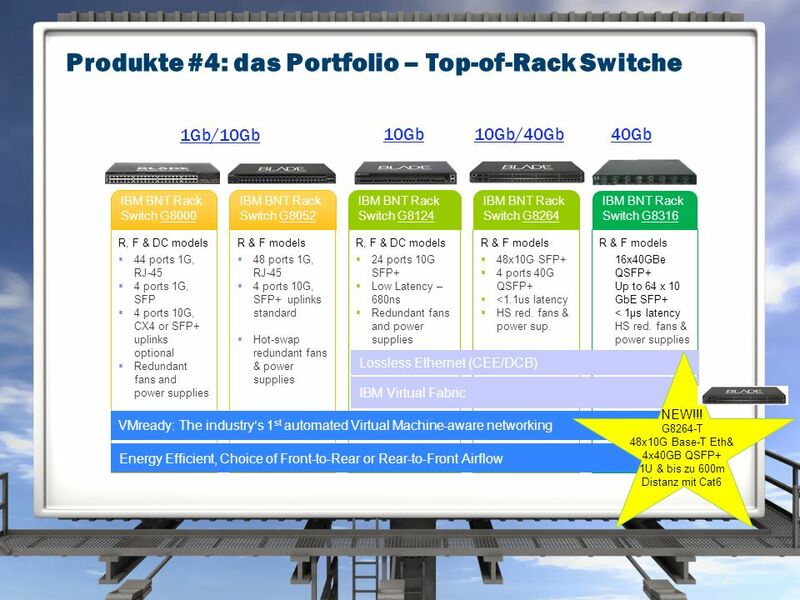 12 IBM VMready and DVS-5000V -Automated DVS 5000v  System Networking OS  vCenter integration  Network virtualization automation With IEEE 802.1Qbg vSwitches (e.g. 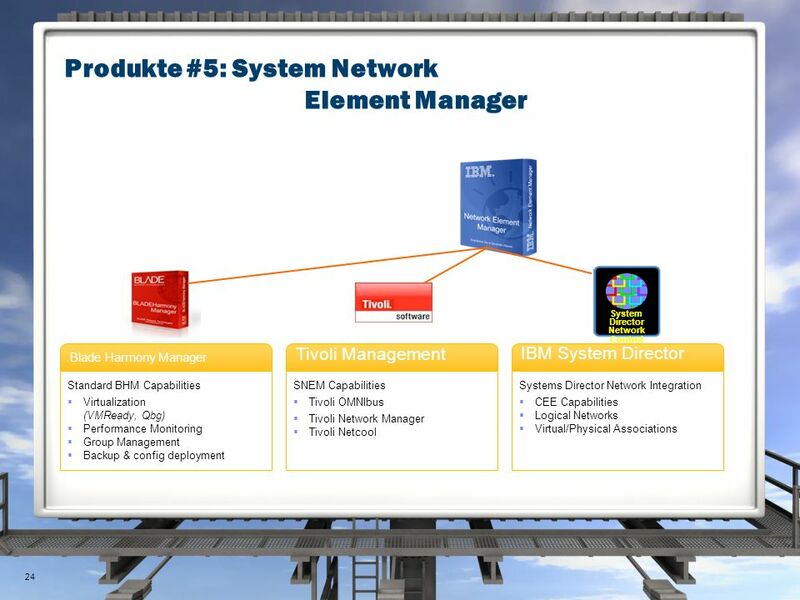 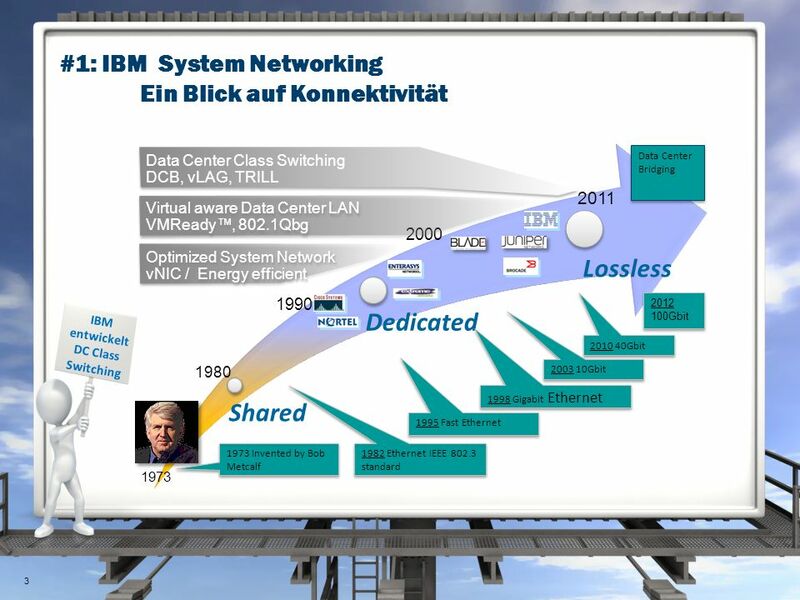 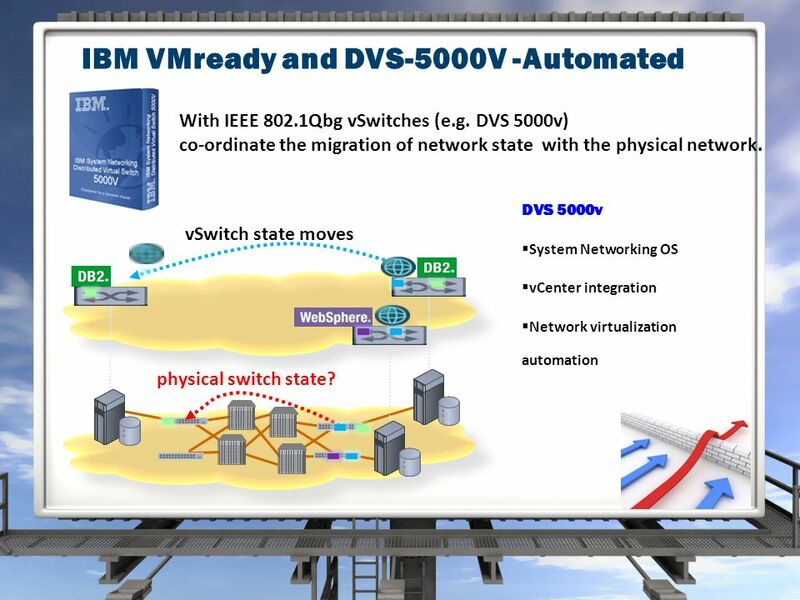 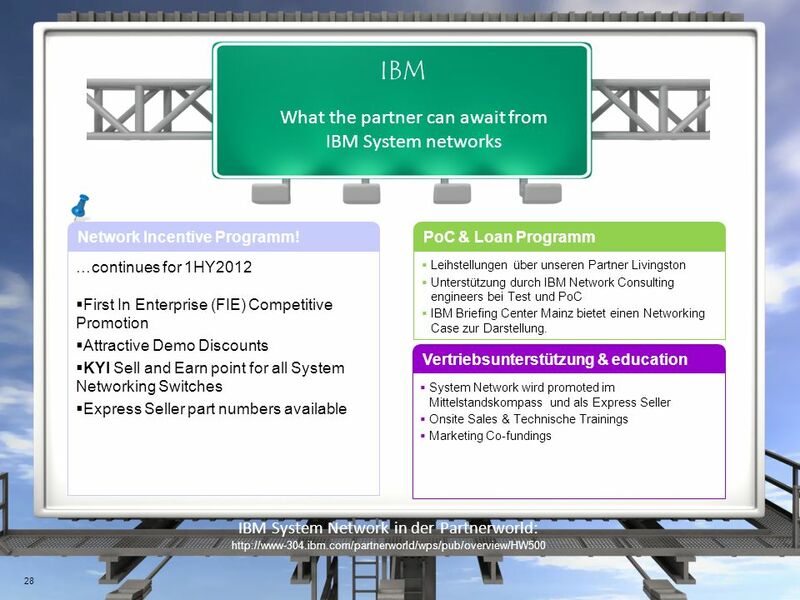 DVS 5000v) co-ordinate the migration of network state with the physical network. 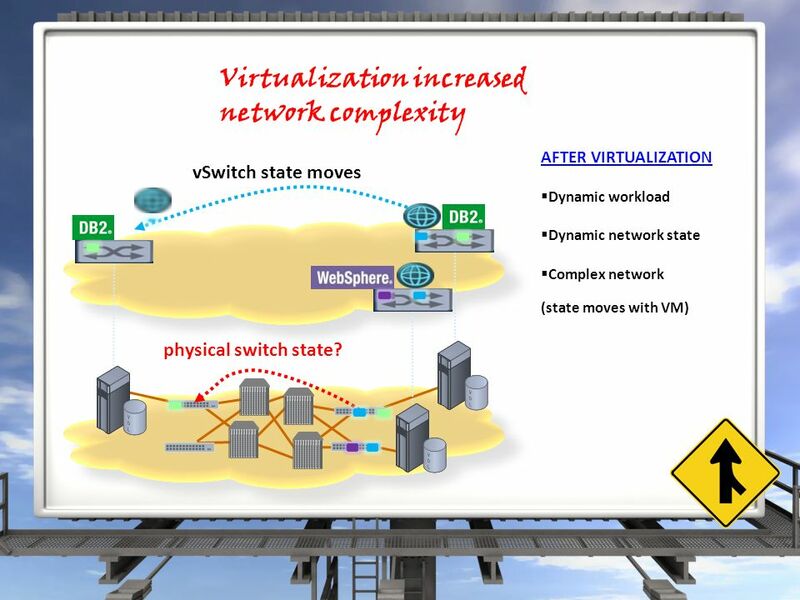 vSwitch state moves physical switch state? 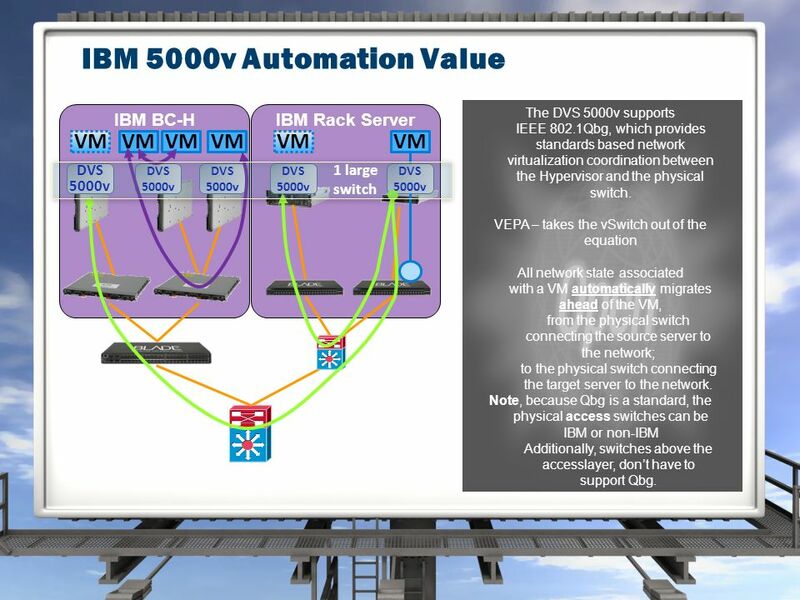 13 IBM 5000v Automation Value IBM Rack ServerIBM BC-H VM DVS 5000v VM DVS 5000v 1 large switch The DVS 5000v supports IEEE 802.1Qbg, which provides standards based network virtualization coordination between the Hypervisor and the physical switch. 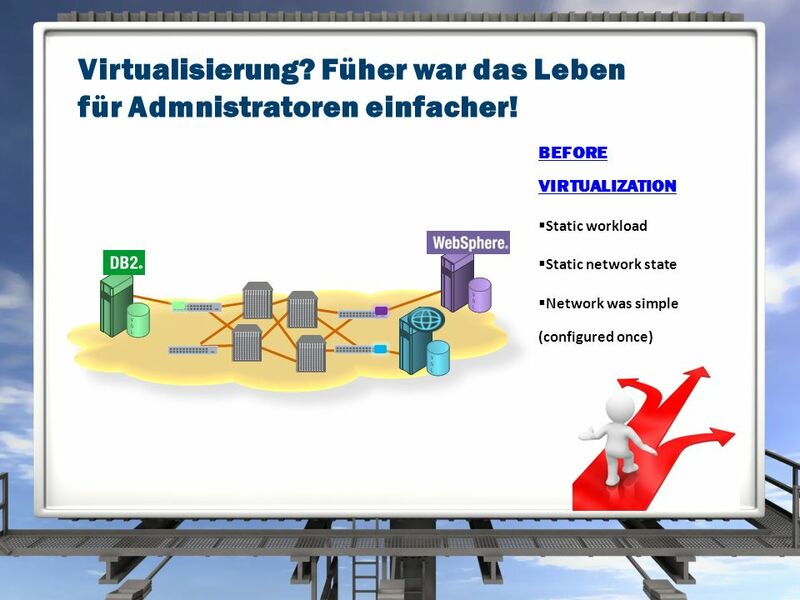 VEPA – takes the vSwitch out of the equation All network state associated with a VM automatically migrates ahead of the VM, from the physical switch connecting the source server to the network; to the physical switch connecting the target server to the network. 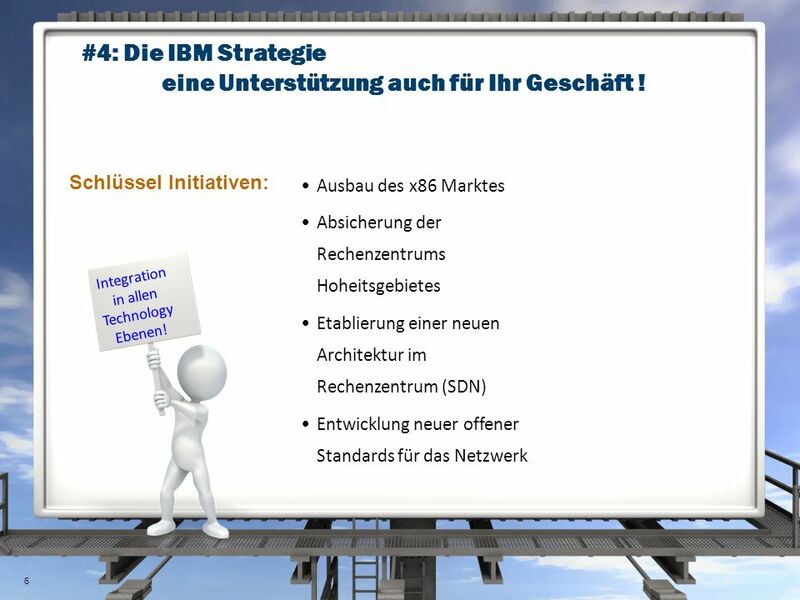 Note, because Qbg is a standard, the physical access switches can be IBM or non-IBM Additionally, switches above the accesslayer, don’t have to support Qbg. 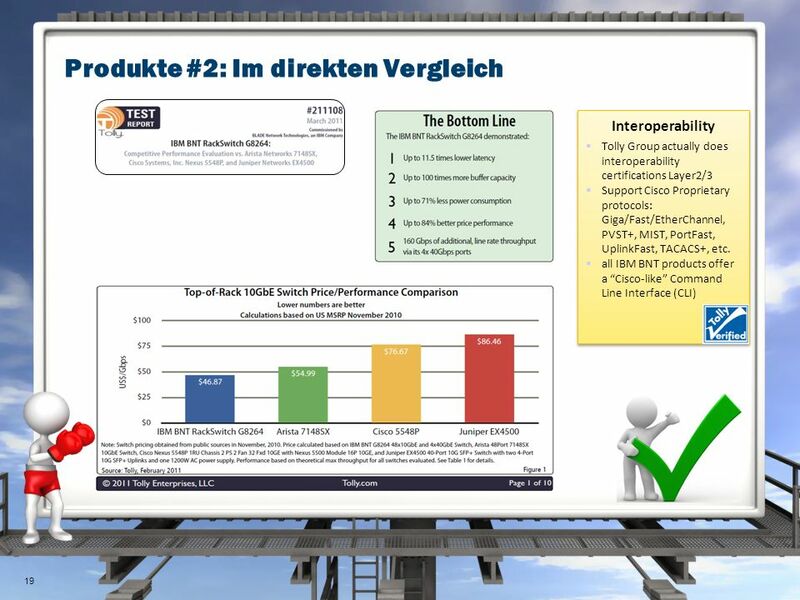 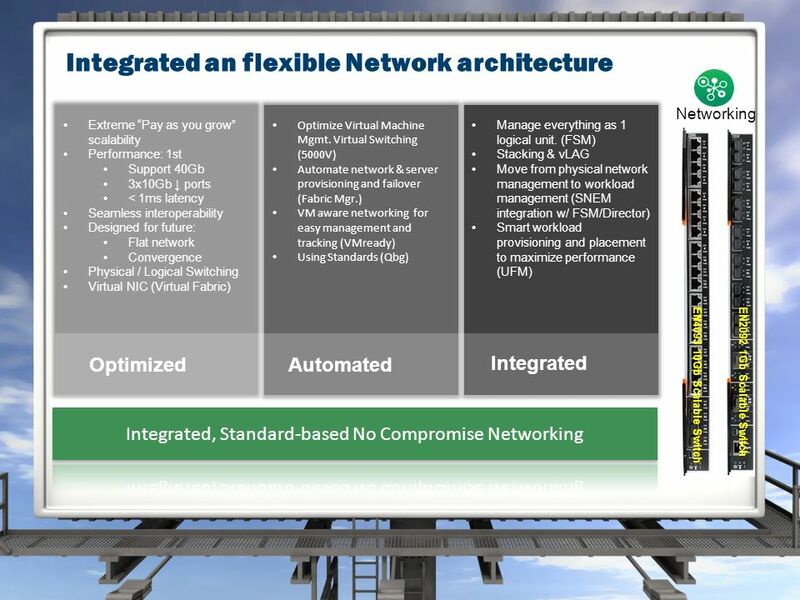 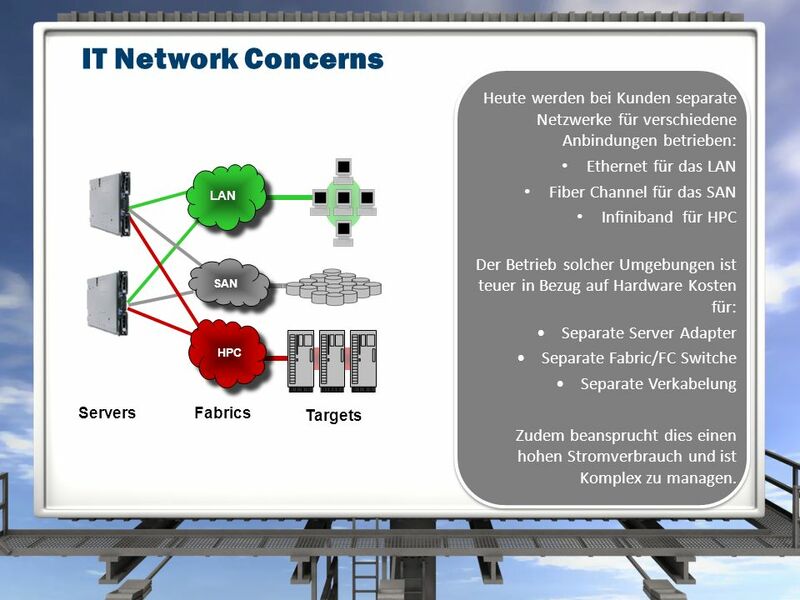 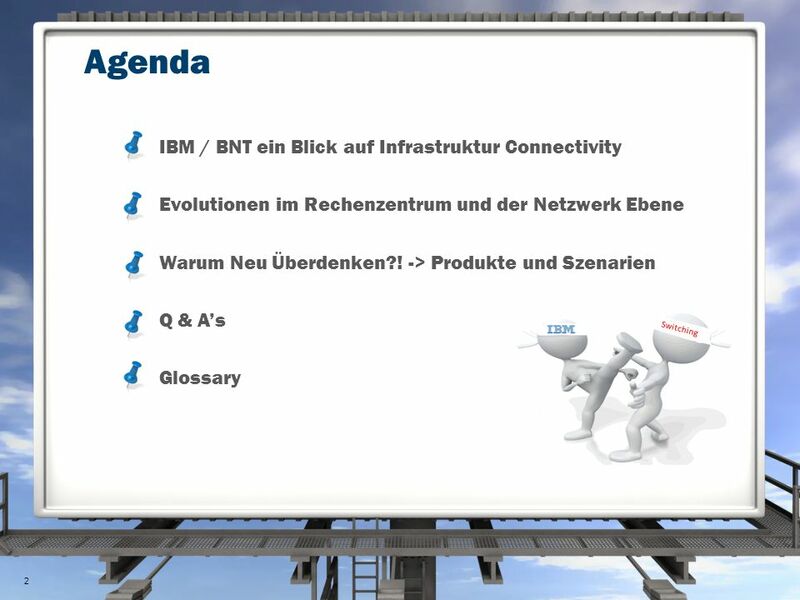 14 IT Network Concerns Fabrics Targets LAN SAN HPC Servers Heute werden bei Kunden separate Netzwerke für verschiedene Anbindungen betrieben: Ethernet für das LAN Fiber Channel für das SAN Infiniband für HPC Der Betrieb solcher Umgebungen ist teuer in Bezug auf Hardware Kosten für: Separate Server Adapter Separate Fabric/FC Switche Separate Verkabelung Zudem beansprucht dies einen hohen Stromverbrauch und ist Komplex zu managen. 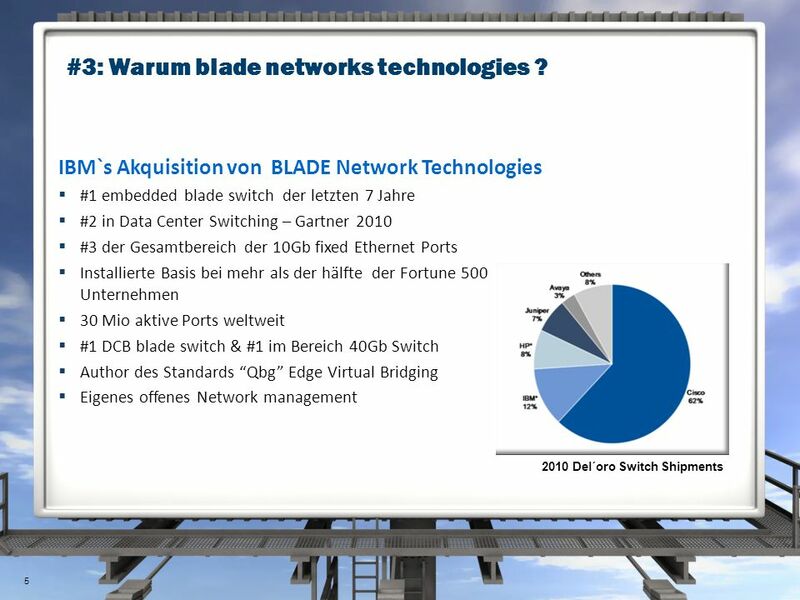 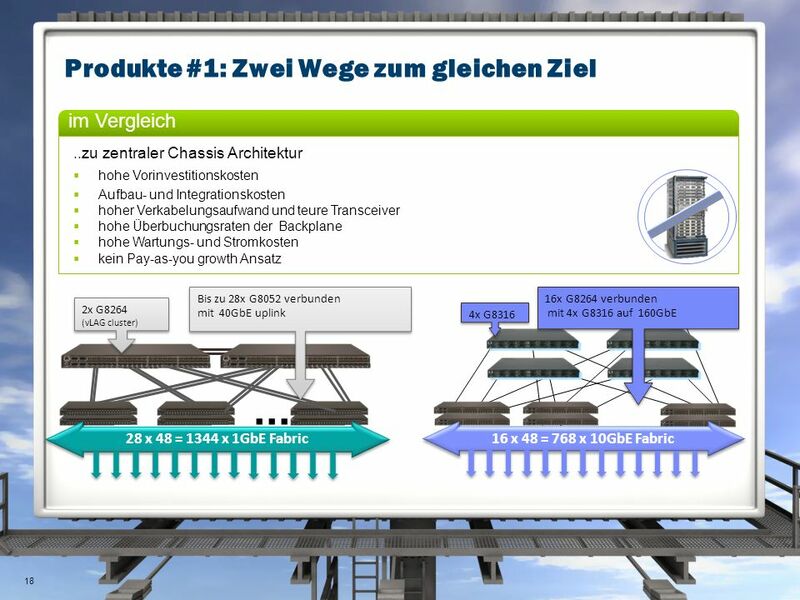 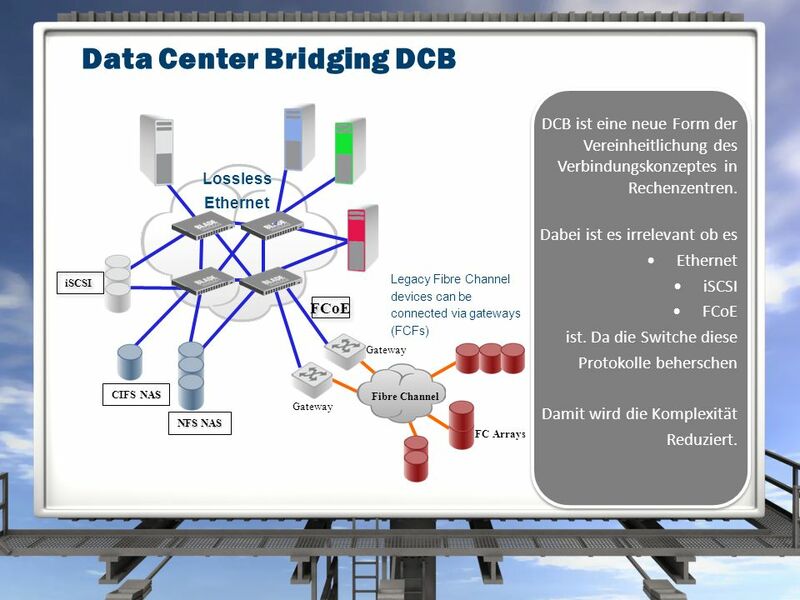 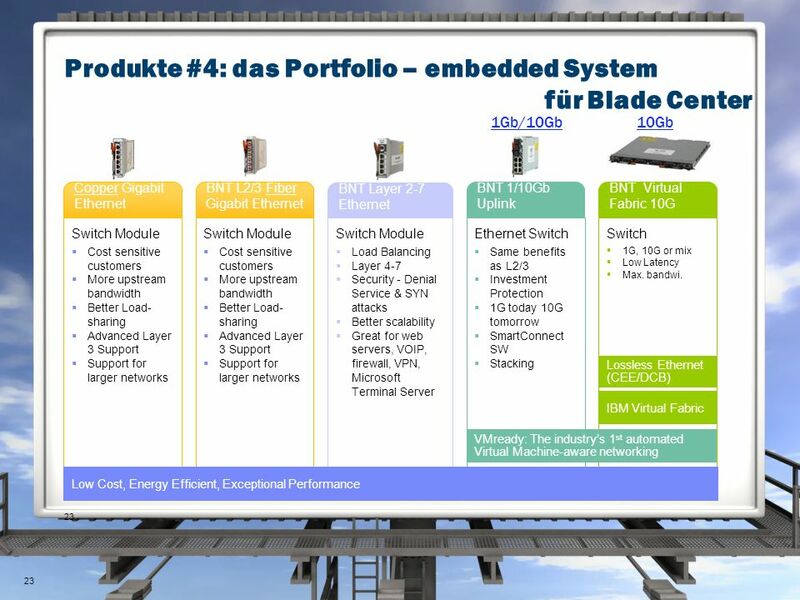 15 Data Center Bridging DCB Legacy Fibre Channel devices can be connected via gateways (FCFs) Gateway iSCSI NAS CIFS NAS FC Arrays Fibre Channel Lossless Ethernet Gateway NFS NAS FCoE DCB ist eine neue Form der Vereinheitlichung des Verbindungskonzeptes in Rechenzentren. 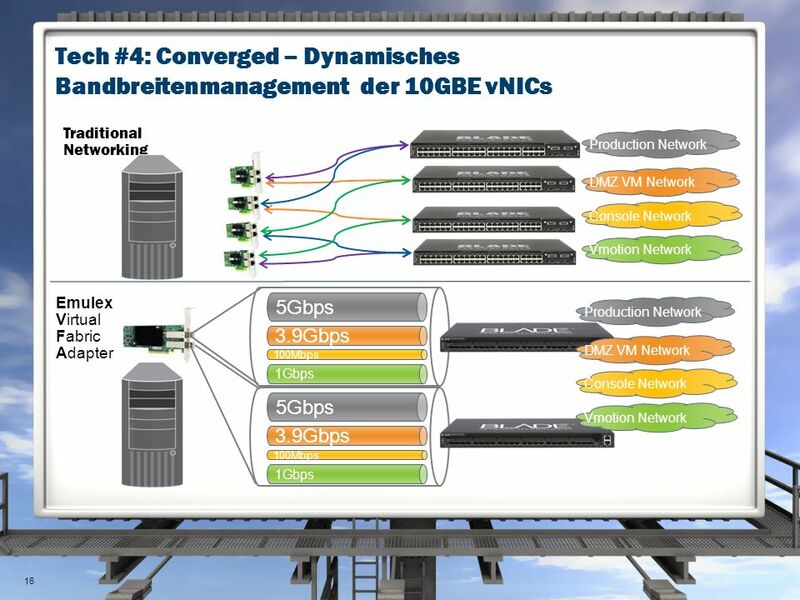 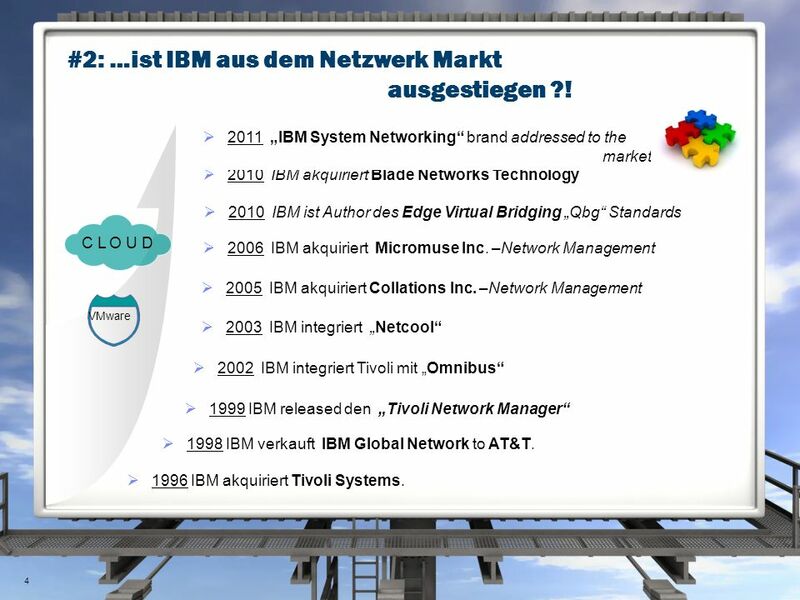 Dabei ist es irrelevant ob es Ethernet iSCSI FCoE ist. 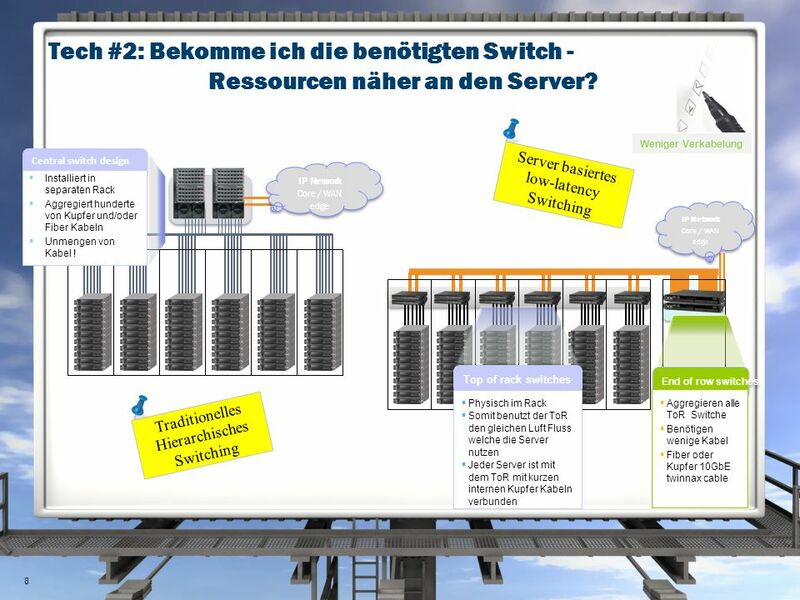 Da die Switche diese Protokolle beherschen Damit wird die Komplexität Reduziert. 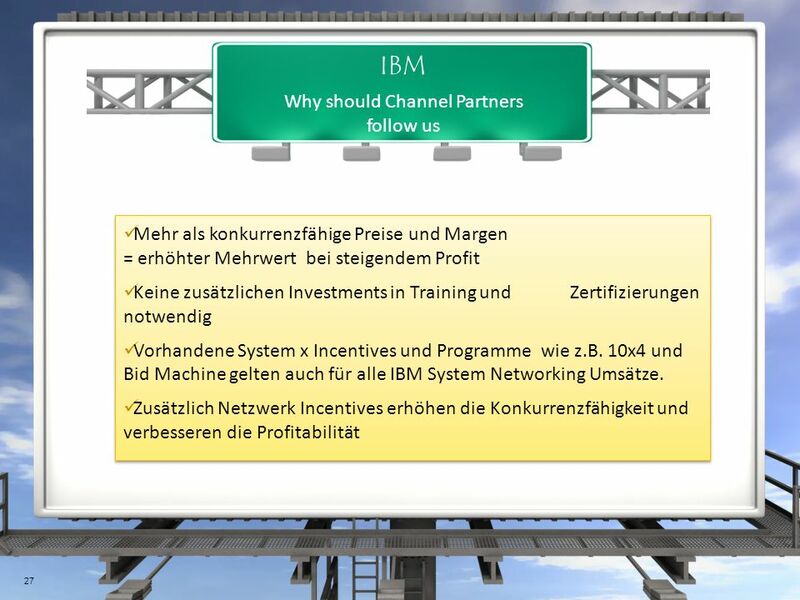 Copyright 2010 LB-systems Meßgeräte GmbHSeite 2 Workshops & Schulungen Powered by.